Mission Hills is one of San Diego’s oldest and most desirable neighborhoods. It sits a top a series of hills overlooking Old Town, Mission Valley, Downtown San Diego and the San Diego Bay. Mission Hills is north of Downtown San Diego and is near Interstate 5, Interstate 8 and State Route 163 Freeways, providing quick access to all its surroundings. Mission Hills is centrally located and provides residents the convenience of enjoying all of America’s Finest City’s attractions. With Downtown San Diego, the Gaslamp District, Little Italy, Seaport Village, Balboa Park, Sea World, Fashion Valley, and the San Diego Zoo less than five miles away, Mission Hills has become an ideal neighborhood to live in. Development of the area began in the early 1900’s. During the 1950’s and 1960’s, homes were built along the series of steep, greenery-filled canyons that break the neighborhoods up into distinct segments. If you’re driving through the Mission Hills area or strolling through the neighborhoods, you’ll get the feeling that this is what a quaint community should look like. Old stately homes, picturesque craftsman bungalows and large mansions line the quiet tree lined streets that give Mission Hills its unique appeal. Mission Hills houses range in price from $500,000 (2 bedroom 1 bath 850 sq. 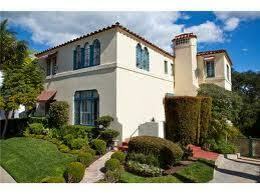 ft detached single family home) to $4,500,000 (5 bedroom 4 bath 4,900 sq. ft detached single family home). Believe it or not, because of it’s location, reputation and re-sale values, Mission Hills is considered one of the best places to buy a home in San Diego County. Any time of day you will find people riding their bikes or walking the streets of this community. With its safe environment, it affords the residents the luxury of being outdoors and enjoying the beautiful San Diego weather any time of the year. Most of the local businesses are situated along West Washington and Goldfinch Street. This is where you’ll find restaurants, shops, pubs and other services that make this area so complete. On its eastern border is a broad selection of shops and restaurants as well, but if you continue to move towards Hillcrest, you’ll find a larger selection of stores in that neighboring community. One of the most well-known attractions in Mission Hills in none other than the Nursery located on Fort Stockton Drive. Since 1910, this nursery has been a place for all to come to simply stroll and enjoy their beautiful grounds and experience gardening at its finest. They have a huge selection of roses, shrubs, annuals and perennials. This is where the unusual is the usual. In the center of this city is Pioneer Park, a family-friendly venue filled with trees and grass along with a children’s playground. This park dates back to the late 19th Century and was home to one of the earliest cemeteries in all of San Diego. In fact, some of the original tombstones still stand in the far corner of the park, which makes one think of the area’s rich and fascinating history. Pioneer Park hosts several community activities each year including their annual 4th of July celebration and the summertime Concerts in the Park on Friday evenings. So whether it’s a peaceful, architecturally impressive neighborhood you are looking for, or being easily accessible to Downtown San Diego, Mission Valley or Old Town, you won’t go wrong living or visiting Mission Hills. Who knows? You might end up staying…………forever.